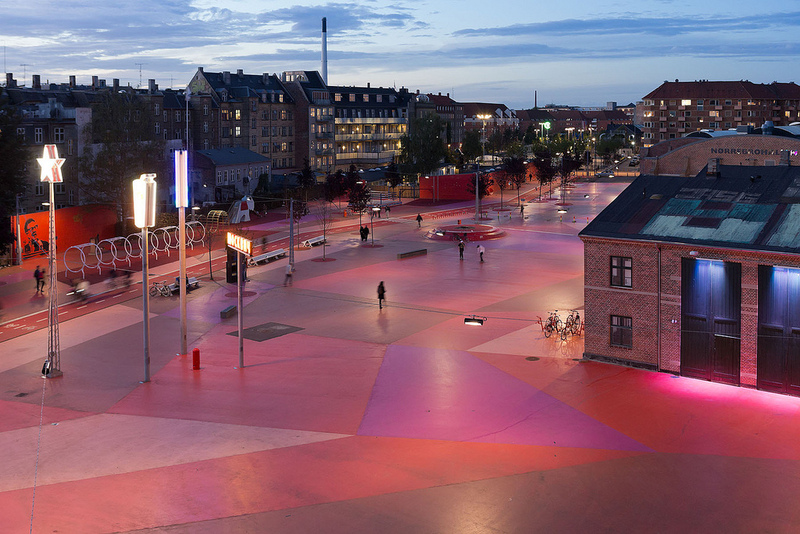 The Superkilen park in Nørrebro, which opened in 2012 and is known locally as Den Rød Plads or ‘Red Square’, was designed to represent and accommodate the diverse community of people that it surrounds. 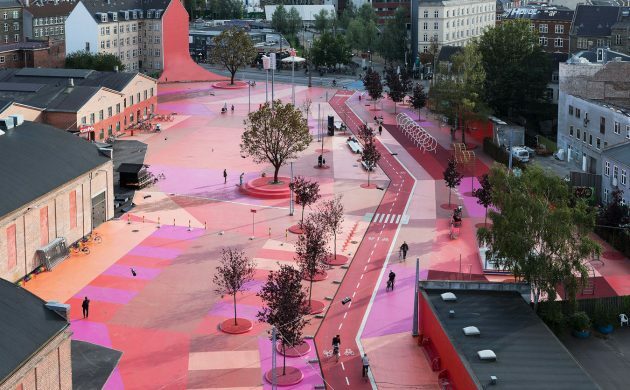 However, after just six years the red surface, a key feature of the site, will have to be replaced at a cost to the municipality of 11 million kroner. Issues were set in motion when construction workers applied the specially selected red polyurethane coating to the area . The coating worked seamlessly in laboratory conditions, but once it was applied outdoors, it proved less effective and made the ground slippery. The substance’s red colour was also found to fade over time due to its low UV light tolerance. Marion Louw, the site’s building manger, explained to Ingeniøren that ice and frost had subsequently damaged the matrix and made it hazardous for cyclists and pedestrians – meaning it had to replaced. The municipality consulted with design and construction contractors over three years to review the issue. It was decided, following discussions, that the cost of the restoration would be split between the parties involved. Realdania, a Danish philanthropist organisation that supported the original development, promised to pay 6.8 million kroner. The other partners – architecture firm BIG, artists group Superflex and landscapers Topotek – agreed to put 560,000 kroner of prize money they won for their work towards the building expenses. Nevertheless, it is the municipality that will bear the largest financial burden for the future restoration.